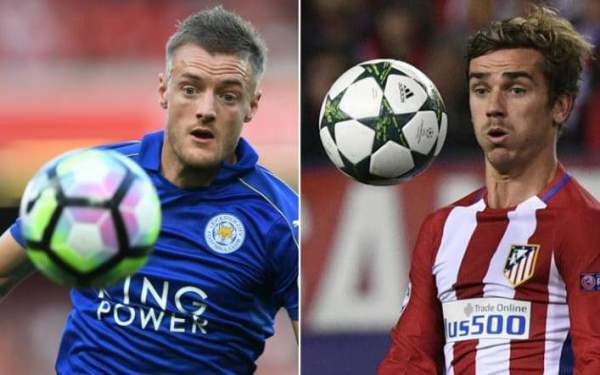 Atletico Madrid vs Leicester City Live Streaming Champions League Score ATM v LEI: Atletico Madrid hosts L City at Vicente Calderon for the first leg of the Quarterfinals of the Champions league. Atletico plays in the Spanish La Liga and is the third team to be still alive in the competition. Leicester City are the defending champions of the English Premier league and is the only English team to be present in the quarter-final stage. 13th April 2017 at 00:15 (IST). Watch: Bayern Munich vs Real Madrid Live Stream. Atletico Madrid have a good record against Leicester as this their third time meeting in a European competition and ATM have qualified on previous occasions. Madrid are currently third on the table with 62 points from 31 games in the league, seven points below Barcelona and one point above Sevilla FC. Antoine Griezmann is their top scorer with 15 goals to his name and he has four goals in the Champions league as well. They have reached the quarter-final stage for the fourth consecutive season. They have won six games, drew one and lost one in their eight Champions league this season. ATM have won 16 out of the 21 games under Diego Simeone, drawing four and losing one. They played the Madrid derby in their previous game of the league and was able to manage a draw with a late equalized from Griezmann. Despite being the title defenders LeicesterCity are currently 11th on the table with 36 points from 31 games, one point below Watford and above on goal difference from Burnley. They are the first team since Malaga to reach the quarter-final stage on their Champions league debut. They are also the eight English team to make it to the last eight of the Champions league, more than any other country. Leicester City were stopped by Everton to make it 5 wins a row after the sacking of Ranieri as they lost by 4-2 in a thriller. AtleticoMadrid are very strong and beating them at home would be very difficult for Leicester. Stay tuned for Atletico Madrid vs Leicester City live streaming, highlights, and much more.